Does the home release of Iron Man 2 help smooth over the 'meh'? Click on the jump to find out! Iron Man was a brilliant addition to the Marvel Film Universe: it was witty, well-cast, and verified the mojo of Robert Downey, Jr (Sherlock Holmes). Fast forward two years, and audiences were expecting more of the same. What we got was a product that looked incomplete, felt rushed and unrefined, and failed to resonate with fans. It's the film that marks the end of the line for director Jon Favreau (Swingers), who is excused from the franchise soon after. And, it proves the age old rule about film: no amount of hype or casting can save a bad film from itself. There are so many inconsistencies here that one would need a day to reconstruct them all: but don't take my word for it, look at this great article from the guys at UGO for the proof. The main issues here for me are story, directing, and music - part of four pillars which make or break every film. 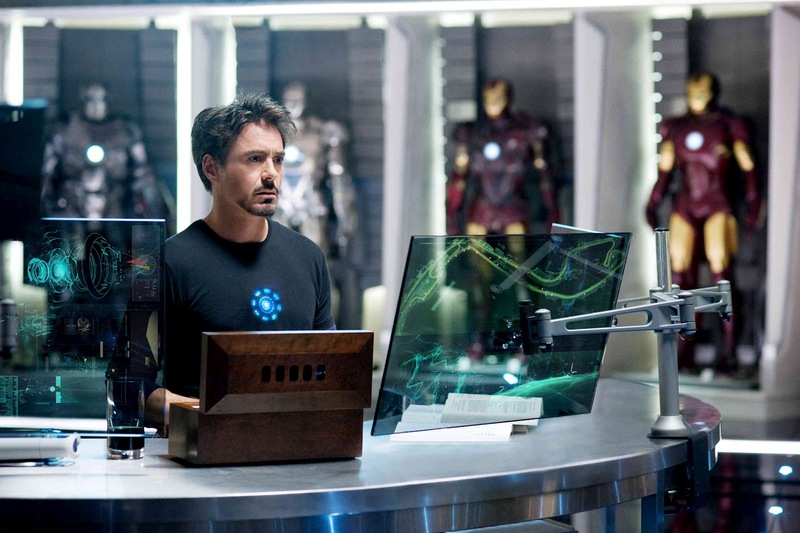 From a story perspective, the idea that Stark is suffering a slow poisoning of his body from the Arc Reactor device is excellent, as is the idea of he and the government divided on who owns the Iron Man suits. Where the story fails us is in the details, many of which were not hammered out prior to shooting. When you watch the supplements and see that Favreau and Writer Justin Theroux (American Psycho) are dictating new lines to their actors as scenes are being shot, it makes you realize just how rushed things were. Some have also complained that IM2 was simply a prologue to Avengers, with Stark donning the costume only four times. These gaffs make a difference on the final cut, as does Favreau's direction/editing. Continuity is a problem throughout the film, from the small (Stark's hands in the wrong places) to the insanely large (wearing different clothes in the Expo scenes). And while I love John Debney (Cutthroat Island), his proud theme for Iron Man (in the Monaco fight scene) only comes out to play a few scant times. Ramin Jawandi's rock theme has time to breathe all over the place, where Debney's is pushed to the side far too often. While very good at points, it fails to match the effect of the original Iron Man soundtrack. To be fair, there's also a lot to like here. The fourth pillar of moviemaking, the casting, is as solid as in any movie I've seen. 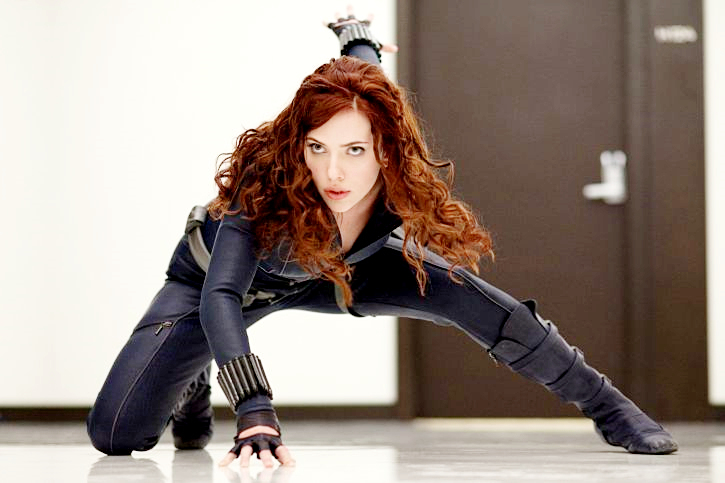 Favreau introduces a believable Black Widow (Scarlett Johansson, The Prestige) and he absolutely nails Nick Fury (Samuel L. Jackson, White Sands); while they give us the SHIELD-jeebies, their scenes with Stark are some of the film's funniest and insightful. Agent Phil Coulson (Clark Gregg, Thor) plays deadpan to a tee, and the climactic fight scene is impressive. 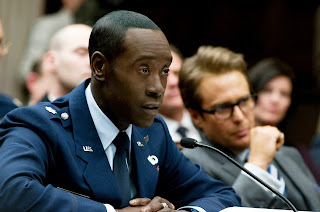 Don Cheadle (Ocean's Eleven series) is also an upgrade as James "Roadie" Rhodes, who can handle the heavy acting needed here to take Stark's tech away. I also love how Theroux personalizes Stark as the dying hero struggling to find a cure. Given another few months or even a third year, the issues which plagued Iron Man 2 could have been resolved, but instead leave more potential questions for Marvel's overly-ambitious timeline, as well the direction Shane Black will take given the same budget and timeline. If three of the four pillars of film-making are violated here, the transfer of Iron Man 2 makes up for some of that, delivering us a very pristine MPEG-4/AVC transfer. Detail is crisp throughout the print, revealing paint chips in Vanko's apartment, dents and scratches in Iron Man's armor, wrinkles in clothing, and cuts/scratches on faces with remarkable clarity. Skin tones are consistent throughout, and shadows mix very well with colors, which neither bleed nor smudge. While there are many dark scenes in the film (such as Vanko's apartment), those shadows mix very well with the bright CFL lighting around his work areas. Ditto for Stark's environment. Additionally, there's no evidence of haloing or edge enhancement either, something which has been discussed in other reviews. I simply did not see them on my copy. Yet, there's a nice built-in graniness to the picture, which still gives a nice cinematic quality. This was one of the first movies I purchased on Blu-ray, and it still holds up very well against the newer AVC-1, in some ways surpassing it. Iron Man 2 rockets in with a masterpiece DTS-HD Master Audio 5.1 lossless track. Gunfire, car crashes, the sound of Vanko's whips, and explosions are clear, pounding, and agressive. The surround track wraps the listener in a variety of specialized effects, and the chase at film's end resounds through those rear speakers. Dialogue and music work well together, such as the scene when Justin Hammer (Sam Rockwell, Moon) introduces Roadie to his weapons cache. Dialogue also plays very well with other sound effects, which keeps you from playing The Remote Game between scenes. The LFE is what really carries the day, delivering the 'boom' to every explosion with great effect. Just watch the climax between War Machine/Iron Man and Vanko for proof. Composer Debney's tracks sound great, but don't come out to play as much as I would have liked. Having said that, this lossless track is the kind you use to test or show off your equipment; it's a stunning piece of work. Audio Commentary by Jon Favreau: His enthusiastic commentary is refreshing, and it's like listening to a film/comic book geek who enjoys his effort. SHIELD Data Vault: This very cool feature allows you to learn more about the characters in the Marvel universe and their connections to SHIELD. . Ultimate Iron Man The Making of Iron Man 2: An exceptional and detailed look at the production of Iron Man 2. Included here is Rebuilding the Suit (29:14), Return to Action (17:22), Expanding the Universe (18:56), Building a Legacy (20:11). We learn how rushed the film was put into production, but we also learn about the work of Composer John Debney. Creating Stark Expo (6:44): The layout and modeling of Stark Expo is discussed. Practical Meets Digital (8:37): Construction and shooting of the Stark suits is enlightening, and it serves as good reference material for the evolution of the suit. Illustrated Origins - Nick Fury, Black Widow, War Machine (6:07; 3:06; 3:52): These featurettes focus on the background and evolution of the characters from the comics to the film. Working with DJ AM (2:02): A short feature on the appearance of Goldstein, who did not survive to see the final product. Deleted Scenes (16:50): A favorite of mine, several of these eight cut scenes show how differently the film could have started and progressed. Commentary by Favreau is included for each scene. Concept Art Galleries: These showcase many of the images present in the studio during production. Extremely insightful. Other trailers: These introduce us to the Sega video game (1:47 & 2:45), and a trailer for my favorite Avengers Earth's Mightiest Heroes (1:51). Music Video - Shoot to Thrill (5:37): A music video by the band AC/DC. 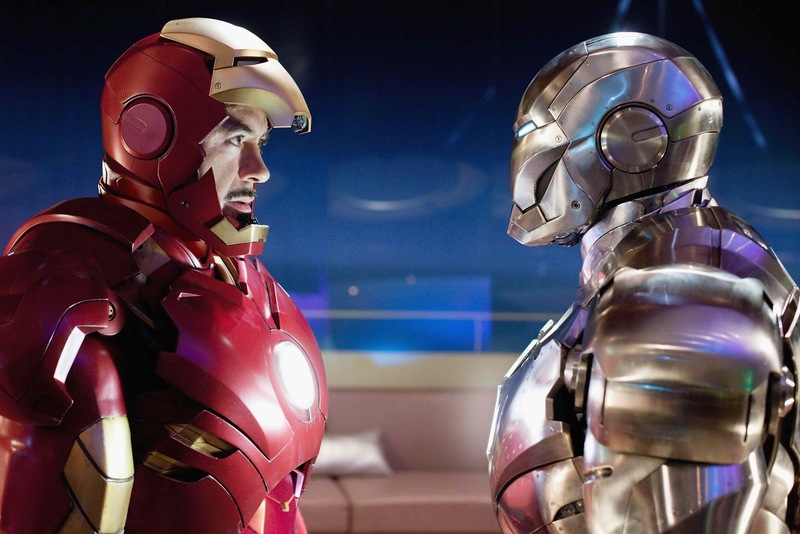 Iron Man 2 is a great home release for a disappointing movie. Filled with continuity issues and dialogue written at the last minute, the film makes up for some of that with an excellent video and audio transfer. Supplements are extraordinarily deep, with enough material to spend a weekend combing through them. In the end, I doubt this film will hold up to the scrutiny of other Marvel products, considering the embarassing departure of Favreau, the rushed timeline, and an uneven effort from the Theroux and Favreau. It's not a bad movie, but certainly not what we expect from Marvel. I received so many compliments on human hair extensions and everyone thinks it is my real hair. I recommend this to literally anyone and everyone it is a must. Mousse would probably be better. The cap was kinda big and u can really part it either. I will say lace wigs uk is my first time buying lace wigs from amazon or online period I usually go in person and for the price it is a really nice lace wigs uk. All in all if u know what brazilian hair uk doing I say buy it. If u want to learn, I say buy it but if u just want to put it on and go it is not quite there.